6 electric vehicles were tested around Rome, and their efficiency was calculated. The Hyundai Kona EV was the winner with 13.1 kWh per 100 kms, followed closely by the Renalut Zoe R110. 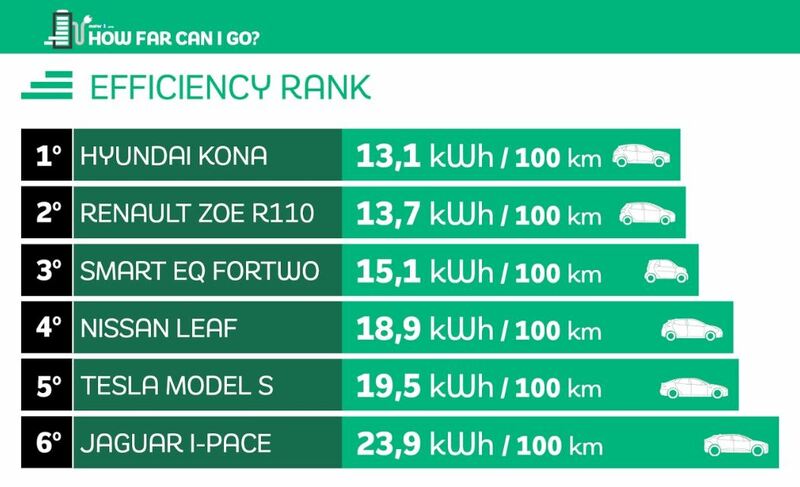 The Tesla Model S was near the back of the pack with 19.5 kWh used per 100 kms, and the Jaguar I-Pace was the least efficient EV using 23.9 kWh per 100 km.